Join us on Wednesday, February 27, to hear Dr. Bisno talk about his passion for lifelong learning. The Harvard Club of Santa Barbara is pleased to host the third talk in the Harvard Careers Series. The presentations began in spring 2017 with Professor Thomas Everhart, the former President of Caltech. The second talk, in fall 2017, was given by Ron Gallo, CEO and President of the Santa Barbara Foundation. More information about Professor Everhart and Dr. Gallo is available on this website, in Past Events. Speakers are encouraged to talk about their experiences at Harvard, the influences of that experience on their subsequent careers, their accomplishments and lessons learned during their career paths and their passions and adult development beyond their occupation in their life careers. The third lecture in the Harvard Careers Series will be given by Dr. David Bisno. David graduated from Harvard College, (class ’61), earned his M.D. at the Washington University School of Medicine, St. Louis, and then practiced ophthalmology for 25 years in Atlanta, GA. At age 53 he returned to New England where between Harvard and Dartmouth he earned an MA in Liberal Studies. Since then, he and his wife, Fay, have developed and presented numerous lectures and courses on a myriad of topics within institutes for lifelong learning in this country and overseas. 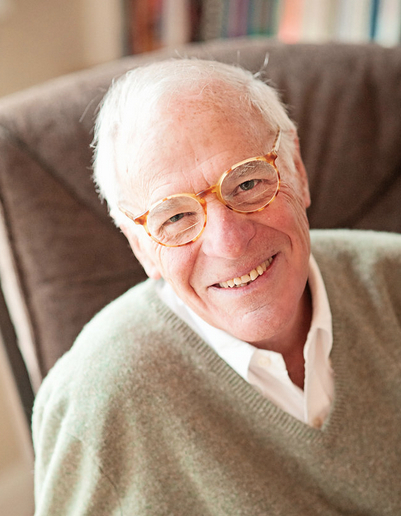 In 1998 he and Fay were the founders of VISTAS, Santa Barbara’s institute for lifelong learning. In 2003 David returned to Harvard a third time to study constitutional law at the Harvard Law School with Laurence Tribe. In 2011 David and Fay envisioned and made possible the Bisno Schall Clock Gallery at the Santa Barbara Courthouse. (In March 2015, David led a tour of this gallery for Harvard alumni - click here to view this past event). The talk will be held on Wednesday, February 27, from 5:00-7:00, and will be followed by a reception with wine and appetizers. It will be held at 1021 Anacapa Street, 2nd Floor, in the Brownstein Conference Room which is located in the law firm offices of Brownstein, Hyatt Farber Schreck, LLP. The firm is in the large white building bordering the parking lot and facing Anacapa St. The entrance faces the street. An elevator is available to reach the 2nd Floor. Parking is in Lot 8. The lot is on the right side of Anacapa, just south of Figueroa St. If you reach Carrillo St, you’ve gone too far. The lot has 80 spaces. Additional parking is also found in Lot 7 at 1115 Anacapa St, entered from Figueroa. This event is open to all Harvard graduates and their guests. The price is $10 for all attendees. There are three options for paying for admittance. One, tickets can be purchased by clicking the link below. HCSB prefers the online method of simultaneously paying and RSVP’ing, as it provides us with an automated attendance count and RSVP list. Two, if you prefer to pay by check you may do so by mailing your check together with the names of your guests to Harvard Club of Santa Barbara, P.O. Box 1452, Goleta, CA 93116. Please do so by February 22. Three, you may also pay at the door; please send an email to us at president@sbharvardclub.org to let us know you’re coming and to reserve a place. This event will be limited to 40 people. Click here to see photos!! !